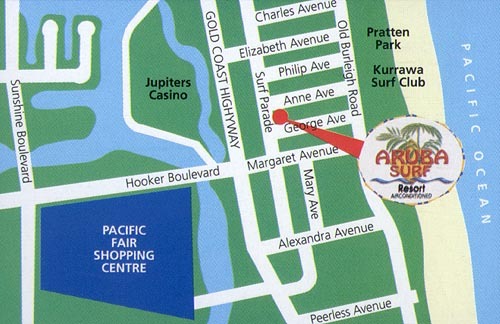 Corner Surf Parade & Anne Avenue, Broadbeach, Queensland. 4218 Australia. 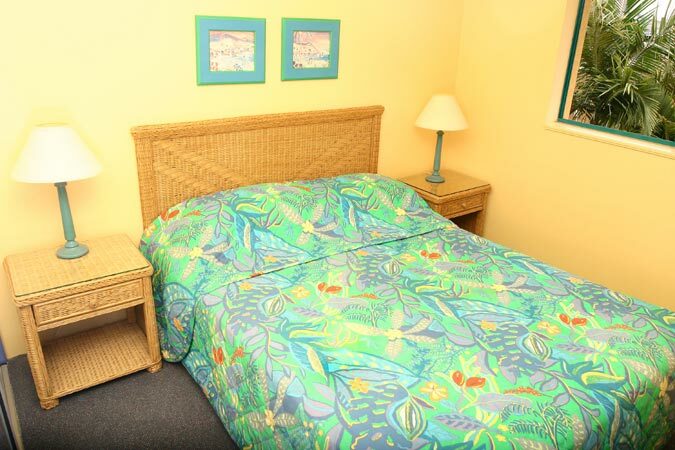 Aruba Surf offers the ultimate holiday lifestyle. 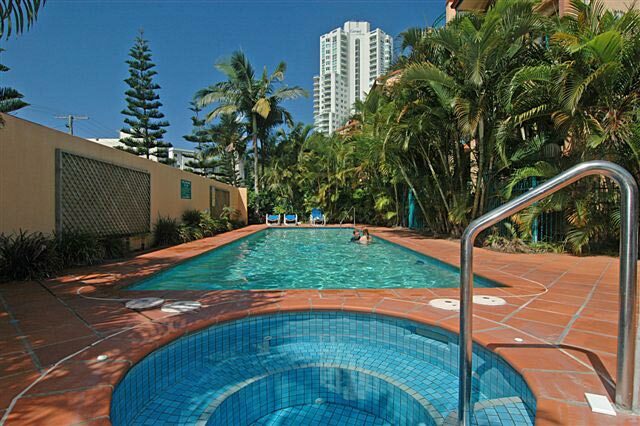 Superbly located within metres of the powder white Broadbeach beaches, close to every imaginable facility and entertainment venue. Walk in minutes to the major shopping complexes of the Broadbeach Mall and Pacific fair for a myriad of exotic boutiques for the clothes tou have always dreamt of. 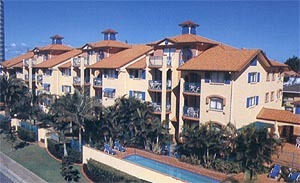 Ride the Monorail to the Jupiters Casino complex to enjoy the shows then try your luck at the tables. 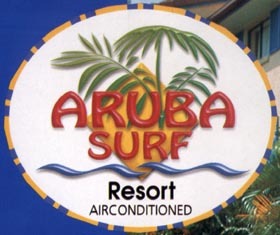 Aruba Surf offers the unique Caribbean style ambience and style of accommodation that has become the Aruba trademark, together with a prime location - the ingredients for that perfect holiday!!. 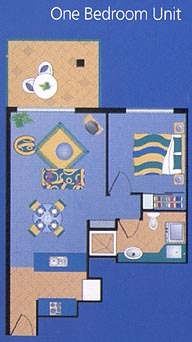 All units are air-conditioned and comprise 1 Queen Bed and 1 Double Divan. 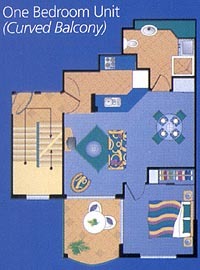 Fully self-contained with Queen bed, full kitchen (with microwave and dishwasher), air conditioner, washing machine & dryer, TV, patio and double divan in the lounge. 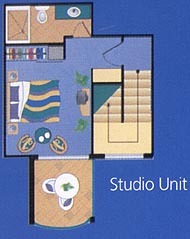 Achieved by combining a Studio unit and a 1 Bedroom Unit (curved balcony) together, where the Studio is upstairs to the 1 Bedroom Unit (curved balcony) with a common door. 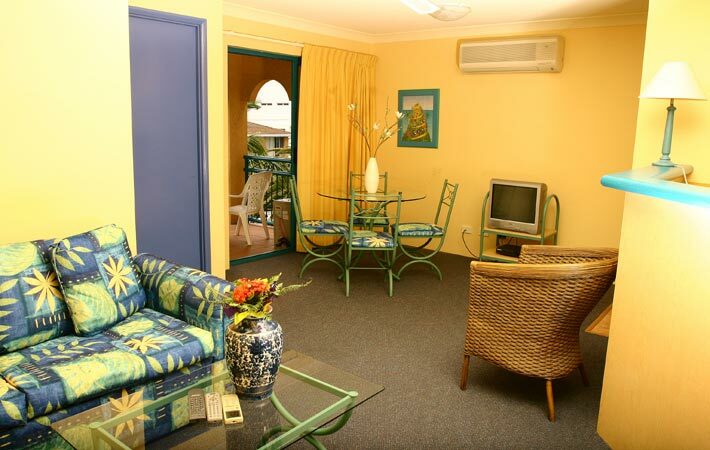 These units have a Queen bed,ensuite, TV, air conditioner, bar fridge, microwave, jug, iron.